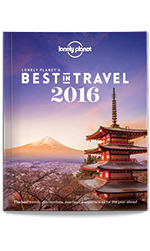 Lonely Planet Thailand is your passport to the most relevant, up-to-date advice on what to see and skip, and what hidden discoveries await you. Wander through wild orchids in Mae Hong Son, charter a longtail boat on the Andaman Coast or look for tigers and monkeys in national parks; all with your trusted travel companion. Get to the heart of Thailand and begin your journey now!